The commencement speaker for the 2014 Marymount California University graduation ceremony is California State Assemblymember Al Muratsuchi. Graduation will be held on May 10 at the Oceanview campus in Rancho Palos Verdes. Learn more about this year’s Commencement events. The university is located within the 66th California Assembly district represented by Muratsuchi.One of Muratsuchi’s leadership priorities, which also align with the University’s mission, is to ensure access to a college education. Realizing that finding ways to pay for college can be daunting, he has worked to inform his constituency about state resources to make college more affordable. Assemblymember Al Muratsuchi was elected in November 2012 to represent California’s 66th Assembly District. Currently, he is Chair of the Assembly Budget Subcommittee on Education Finance, as well as a member of the Judiciary, Natural Resources, and Veterans Affairs Committees. 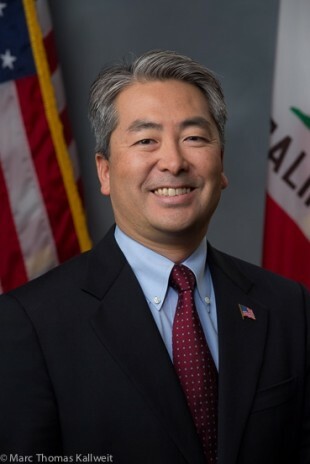 He is also Chair of the Select Committee on Aerospace and a member of the Governor’s Military Council.Previously, Muratsuchi served as a deputy attorney general with the California Department of Justice for more than 11 years. He also served as a Torrance Unified School Board member for more than seven years. His fiscally responsible leadership helped the district consistently deliver balanced budgets and a healthy rainy day reserve despite state budget cuts. At the same time, Muratsuchi helped maintain Torrance’s reputation as a high-achieving school district, with test scores rising every year during his tenure. As School Board President, Muratsuchi played a key role in initiating the largest school repair and modernization program in the district’s history. Assemblymember Muratsuchi lives in Torrance with his wife and daughter. He is a graduate of the University of California, Berkeley and the UCLA School of Law, and an alumnus of the Coro Foundation Public Affairs Fellows Program. California’s 66th Assembly District includes the cities of Gardena, Hermosa Beach, Lomita, the Los Angeles communities of Harbor City and Harbor Gateway, Manhattan Beach, Palos Verdes Estates, Rancho Palos Verdes, Redondo Beach, Rolling Hills, Rolling Hills Estates, Torrance, and the unincorporated communities of El Camino Village and West Carson. Please visit the Assemblymember’s website, asmdc.org/members/a66/ for more information.